Cristhian Bahena Rivera charged with killing Mollie Tibbetts worked on a dairy farm for years under a false name. The farm was just a few miles from where Mollie was abducted while running last month, his employer said Wednesday. “Rivera was a good employee who showed up on time to take care of the cows and got along well with his co-workers,” said Dane Lang, manager of Yarrabee Farms in Brooklyn, Iowa. Rivera kept coming to work after Mollie Tibbetts disappeared July 18, and "nobody saw a difference" in his demeanor, Lang said. His colleagues were stunned to learn that he was not only the suspect in Tibbetts' death but that he had a different name than what he went by on the farm, he said. 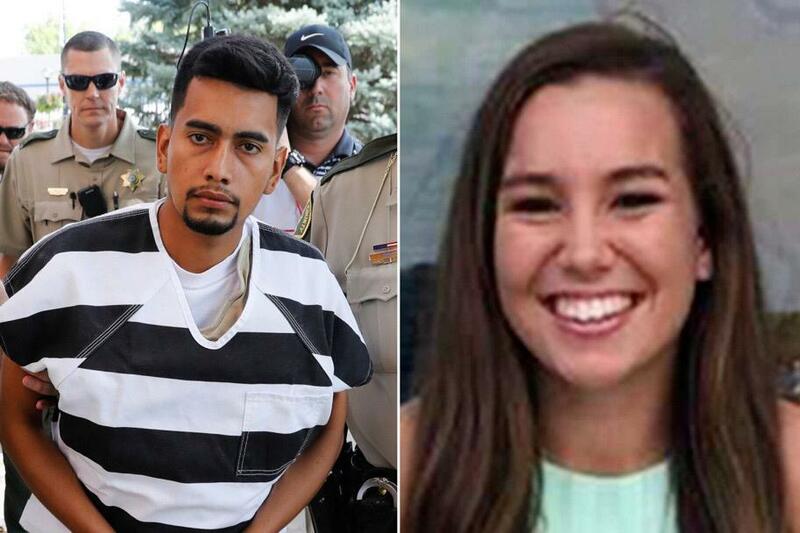 James Woods tweeted: "#AWhiteGirl Her name was #MollieTibbetts"
Rivera was hired in 2014 and he presented an out-of-state government-issued photo identification with a matching Social Security card, he said. That information was run through the Social Security Administration's employment-verification system and checked out, he said. Rivera's defense attorney, Allan Richards, acknowledged that his client received his paycheck under a different name and that he was uncertain of his immigration status. He said he was prepared to argue that his client was in the country legally, noting that he came to the U.S. as a minor and had worked and paid taxes for years. "He showed up every day, and he did his job. He was patted on his back. They turned a blind eye to the reality of documentation," Richards said. Investigators say they believe Rivera was in the country illegally when he abducted Tibbetts, killed her and dumped her body in a cornfield. On Wednesday, a judge increased his bond from $1 million to $5 million after prosecutor Scott Brown noted he was a potential flight risk who was charged with a "heinous crime." Rivera sat stone-faced through most of the hearing, speaking briefly through a Spanish-speaking interpreter. His attorney, Richards, lashed out at President Donald Trump for publicly declaring his client guilty at a rally Tuesday night in which he called the nation's immigration system a disgrace. Richard said his client was a hard worker with the equivalent of an eighth-grade education, had no prior criminal record and deserved the presumption of innocence and a fair trial. “Sad and Sorry Trump has weighed in on this matter in national media which will poison the entire possible pool of jury members," Richards wrote in a court filing. Trump noted the arrest at the rally in West Virginia: "You heard about today with the illegal alien coming in, very sadly, from Mexico and you saw what happened to that incredible, beautiful young woman. Should've never happened. Illegally in our country." Yarrabee Farms is a small family farming operation that dates back to 1860 and has been owned for six generations by the Lang family. The Long’s are prominent in the community, farming circles, and Republican politics. Dane Lang said the farm had received dozens of threatening phone calls and messages since the employee's arrest, including threats to kill his dog and burn down his buildings. Craig Lang, Dane’s father, and farm co-owner said the Farm was cooperating with investigators and turned over Rivera's hiring records. Police said, Rivera led investigators to a body believed to be Tibbetts in a cornfield about 12 miles southeast of Brooklyn, where she was last seen. Rivera allegedly confessed to following her and panicked when she threatened to call the police. He told authorities that he blacked out and then dumped her bloody body in the secluded location. Investigators have not released the cause and manner of Tibbetts' death and did not release any information following an autopsy that was conducted on Wednesday. Rivera's Facebook page described him as being from Guayabillo. Police said they zeroed in on Rivera after obtaining footage from surveillance cameras in Brooklyn. The footage shows a Chevy Malibu, connected to Rivera, driving back and forth as Tibbetts was running in the area. A first-degree murder conviction carries a mandatory life sentence without parole in Iowa, which doesn’t have the death penalty. The Democrats aren’t even talking about Mollie. They may lose votes if we push to send illegals home. This issue proves people can come here, take our jobs using fake information and kill our people. Warren is a douche. She loves illegals more than the citizens of our country. So maddening! And the party of slavery is blocking all attempts to secure our border. BUILD THE WALL!! Thank you, Lexy for your article about Molly. I pray for her family. Makes me sick but nice job the facts. If only the MSM could tell fact from narrative (fiction)!